CBA ( Career Bridge Academy) now offers a one-stop solution for construction workers looking to apply for a CSCS Labourer Card. 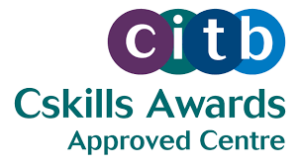 You can take both the one day L1 Award in Health and Safety in a Construction Environment and sit the labourer CITB Health & Safety test at our training centre in Southall, London. We’ll even help you apply for your card too. We are CSCS approved test centre. You can give your CSCS green card test in our centre. Next Day appoinments available. To apply for a Labourer Card, you must pass the CITB Health Safety & Environment Test. The test costs £50 and if you fail you have to retake the test by scheduling another appoinment. We also provide the CSCS green card course if you need to prepare before the test then we provide the one to one classed to prepare for the test. CSCS green card course normally is 1 to 2 days course , if you still have note grasped all the concepts then course can be extended upto 1 week.